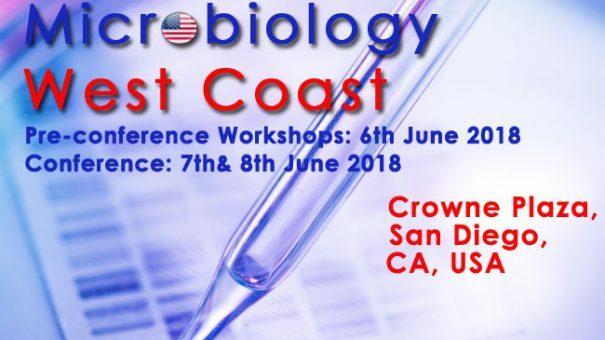 SMi’s 2nd Annual Pharmaceutical Microbiology West Coast Conference will be taking place in San Diego, USA on the 7th – 8th June 2018. The conference will be focusing on the various issues the pharmaceutical industry is facing, including aseptic practice and contamination prevention, mycoplasma testing, water monitoring, biofilms and much more. The launch event in 2017 saw over 60 industry professionals attend, as well as over 5 hours of dedicated networking. The success of last year’s event saw the sponsors Biomerieux and Charles River returning for this year’s annual event. The Pharmaceutical Microbiology West Coast Conference 2018 is also sponsored by Associates of Cape Cod Inc, Fujifilm Wako Chemicals U.S.A. Corporation, MilliporeSigma and Roche. Biomerieux: Microbiologists committed to keeping your lab running smoothly and ensuring that your products are safe. Charles River: Helping customers bring products to the market safely and efficiently with revolutionary technologies and exceptional services, changing the way we conduct microbial quality control. Associates of Cape Cod, Inc: Endotoxin experts specialising in chromogenic and turbidimetric reagent technologies. Fujifilm Wako Chemicals U.S.A. Corporation: World-renowned supplier of high purity chemicals with over 30 years of research and development dedicated to providing innovative endotoxin-specific reagents and consumables for “every user and every method”. MilliporeSigma: Solving the toughest problems in life sciences by collaborating with the global scientific community, providing scientists and engineers with best-in-class lab materials, technologies and services. Roche: Developing medicines and diagnostics that help patients live longer, better lives. Speaking to Senior Manager Lisa Komski from our sponsor Fujifilm Wako Chemicals U.S.A. Corporation, she stated that she expects the conference to provide a ‘great opportunity to connect with key members in the fields of microbiology, quality control, research and pharmaceutical manufacturing’ as well as the opportunity to meet and network with ‘QC Managers, Microbiologists, dialysis technicians, pharmaceutical manufacturing personnel and veterinary lab technicians ‘. Fujifilm Wako Chemicals U.S.A. Corporation will be exhibiting their products at the event, attend the event and visit them to learn how Fujifilm Wako Chemicals U.S.A. Corporation can best support your quality testing needs. Offer ends on March 29th. Register online at www.pharma-microbiology-usa.com/pharmaphorum or call Keiron on +44 (0) 207 827 6744.